Windows 10 won't play DVDs natively, and Windows Media Center is gone. Windows 10 won't play DVDs natively, and Windows Media Center is gone. Here are your options. You can play a DVD in Windows 10 for free with a little help. But that help’s probably best if it doesn’t come from Microsoft. I’ll tell you how Microsoft’s solution sort-of works for some people. Then I’ll tell you about the much better alternative called VLC that anyone can use and gets regular updates. Best of all, it’s free! Updated March 22, 2019, with a second look at the Windows Store app. 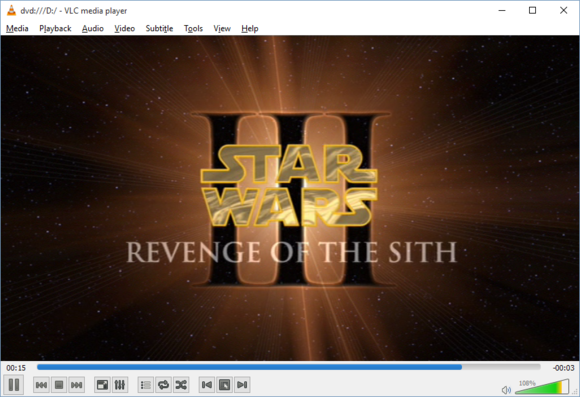 When Windows 10 came along in 2015, it left behind Windows Media Center, a utility for home theater PCs that let you play DVDs on your computer. Windows 8 didn’t come with it either, but users running Windows 8 Pro could still install Windows Media Center. Even that workaround is now gone. Windows Media Center simply doesn’t work. Microsoft offers an official solution for DVD playback, but, well, it’s bad. Windows DVD Player from Microsoft is a $15 Windows Store app. It’s a no-frills utility that should just work, but when I tested the app it did anything but. I’m not the only one who experienced this. Checking out the latest reviews, it appears the problems with Windows DVD Player persist since its launch. 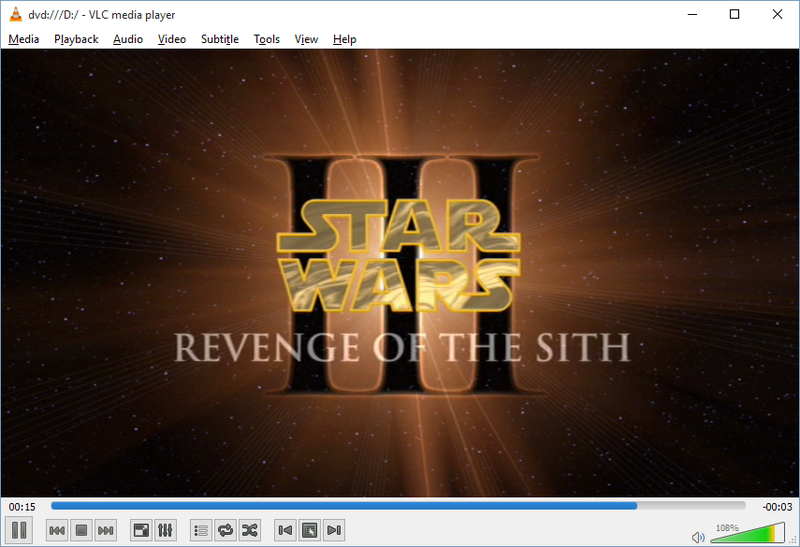 Windows DVD Player in Windows 10. Users who upgraded to Windows 10 from Windows 7, or from Windows 8 with Windows Media Center, should’ve received a free copy of Windows DVD Player. Check the Windows Store, and you should be able to download it for free. If you’ve got a new PC, however, you’re out of luck for this freebie. A word of warning: I got Windows DVD Player for free after upgrading from Windows 8.1 with Windows Media Center in 2015. Once I did a clean install of Windows 10 after upgrading, however, I lost the right to download Windows DVD Player for free. That said, if you do fork over the $15 you can install the app on any of your Windows devices. I tested Windows DVD Player with an Acer Aspire E 15 laptop running Windows 10 Home version 1803, an internal DVD player/burner, and five commercial DVDs. Microsoft offers a 7-day free trial in order to test the app. That’s helpful, given that Microsoft doesn’t offer refunds for its DVD player, but the trial version doesn’t allow you to play movies. Instead, it merely checks your system for “compatibility,” a process that takes a few minutes. The idea that DVD software in 2019 needs to run a compatibility check is ridiculous, but there it is. In my tests on the Acer Aspire, the compatibility check didn’t work. Instead of showing a “go/no go” result, the app just kept crashing. With no luck on the Acer, I turned to my trusty Lenovo X220 and an external Transcend standard DVD player/burner. This combo worked with Microsoft’s DVD Player app in 2015 and, as it turns out, still does. So to recap, my 7-year-old Sandy Bridge PC also running Windows 10 1803 was compatible, while an Acer Aspire with the more modern Kaby Lake processor wasn’t. Way to move with the times, Microsoft. So now that I know the DVD player works with the Lenovo, it’s time to invest $15 of PCWorld’s hard-earned money to see how it plays actual movies. All five DVDs I tested worked, ranging from studio movies to exercise videos. Once I inserted a disk all I had to do was fire up Windows DVD Player, and the disc started playing after a few minutes. Controls are easy enough to manipulate with a mouse, and it covers all the basics: play/pause, fast forward, rewind, and chapter skipping. There are also controls hidden under three dots to jump back to the DVD menu. I encountered one annoyance, where some DVD menus couldn’t be navigated properly. You’d click on the option to play the full movie, and end up on a settings screen instead—the menu option right below the one you wanted. This didn’t happen with every DVD, but I did see it once or twice. Because I now had a full version of the DVD player I decided to test it on the Aspire E15 again, just in case the compatibility test was faulty. All those multiple crashes were correct, however, and the Acer failed to play the same five discs used on the Lenovo. That compatibility check is a key test if you’re considering purchasing this app. Still, I wouldn’t recommend wasting your money even if it does work. For starters, the app is very bare-bones. The features and interface haven’t changed much, if at all, since it first rolled out in 2015. Taking a look at the current reviews in the Windows Store, some users are also still experiencing playback problems. It’s not even worth $0.99, let alone $15. The good news for those of you who still want to play DVDs in their PC is there’s a much better free option available for PCs. VLC running on Windows 10. If you’re using a pre-built, boxed PC from a vendor like Dell or HP, your PC may already have a free commercial DVD playback solution installed. If not, a better alternative to Microsoft’s Windows 10 DVD Player is to turn to the free and always reliable VLC video player. Make sure you download the desktop app and not the Windows Store version, which doesn’t support DVDs or Blu-ray. Once it’s installed, open the program, insert a DVD, and click on Media > Open Disc to watch your DVDs. It’s really that simple, though VLC packs surprising hidden powers for anyone who wants to dive a little deeper. 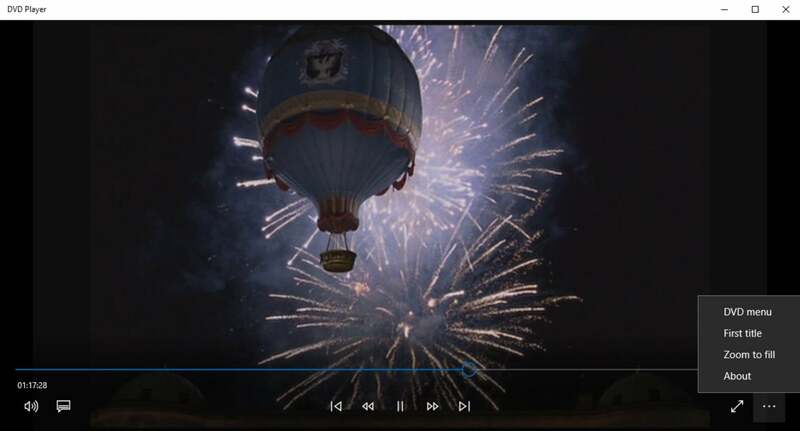 VLC 3.0, for example, added the ability to cast videos and music to Chromecast devices, 360-degree and HDR video support, high-definition audio codec passthrough, and more. This story, "How to play DVDs in Windows 10 for free" was originally published by PCWorld.